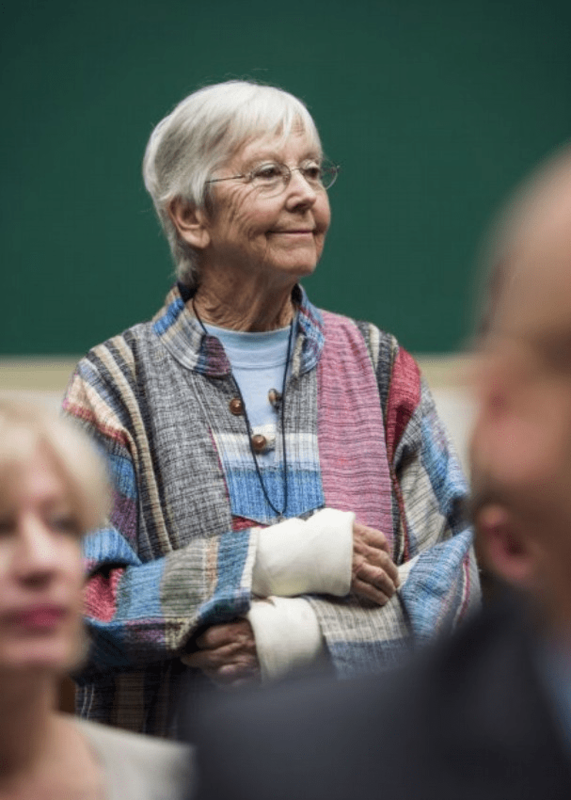 On January 28, unexpected snow postponed the sentencing of 83-year-old Sister Megan Rice and two fellow activists in Knoxville, Tennessee. They face up to 30 years in prison for "willfully damaging federal property" (which they did) and "sabotaging national defense material" (which they didn't) by breaking into the Y-12 complex at Oak Ridge and brutally spray-painting peace slogans all over it. They didn't damage anything except for the fences they cut through to get inside. So why were they charged as saboteurs? Here's why: the Y-12 complex is where the U.S. stores its weapons-grade uranium—over 100 tons of it—but three unarmed and untrained civilians with a combined age of 202 were able to get in and roam around for hours before even one guard appeared. So, 9/11 happened, and over a decade and $1 trillion later, the government's got the TSA checking your waistbands but it can't keep a nun out of a nuclear-bomb plant. And she's the one being prosecuted? I don't expect the government to be grateful about the vandalism, and I am fine with ordering the activists to pay restitution for that (as the judge has done). But beyond that, does anything more than token jail time make any sense? The defendants have been convicted of serious offenses that have caused real harm to the Y-12 National Security Complex. Tip: If there had been any real harm they wouldn't say "real harm." They'd just say what it was. They have shown no remorse for their criminal conduct. To the contrary, they have reveled in their violations and used it to gain publicity for their cause. It's called a "protest," jackass. That's how they work. By penetrating the secure and sensitive premises of Y-12 and having a highly-publicized trial, the defendants accomplished their mission. Ooh, how evocative. They were on a "mission" when they "penetrated" your "sensitive premises," were they? Nice effort to make a nun sound slightly nasty. Now that it is time for them to pay the price for their decision, the defendants ask for an incredible discount. The United States believes that the defendants should be held accountable for their deliberate choices and accept the appropriate consequences for their actions. Oh, give it a rest, Nancy Grace. They did you a favor. Have them pay for your fences and then let them go home. And put the money towards some better fences before somebody armed with more than a Bible tries to get in.